This article is 2718 days old. Although an investigation is underway over a fire downtown, a local fundraiser is finding a silver-lining. 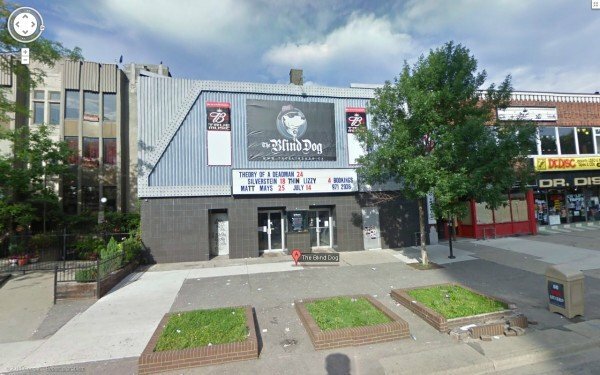 When news broke about an early-morning fire at The Blind Dog (671 Ouelette Ave.) on Wednesday, it caught many by surprise. Noticing smoke while on patrol, a Windsor Police officer was the first to investigate the situation – one that became more suspiscious as events unfolded. With firefighters finding several ignition points and officers noticing a back door facing Pelissier St. forced open, investigators from the police Arson Unit were called in. Still, nobody was more shocked to hear the news than Anne & Nikki Campeau, co-founders of The Breast Ride Ever. With their Stick It To Cancer after party being held at The Blind Dog on November 26, the two were left scrambling to find a new venue at nearly the last second. After a busy day of sorting things out and getting the necessary people on board, Anne & Nikki quickly came up with a new plan though: One even more beneficial than their original. Now being hosted at the Windsor Armouries, the charity event will take place as scheduled. Not only can it hold those who already purchased tickets, the venue allows for more to be sold due to its larger capacity. Canadian band The Trews will headline the concert and all proceeds raised will go towards local breast cancer research. Organizers are hoping for a great turnout and don’t anticipate the change will hurt attendance. In addition to the after party, two Canadian Women’s Hockey League (CWHL) games will be held at Windsor Arena (572 McDougall St.) between the Montreal Stars and Toronto Furies. Game one is Saturday night, November 26, and game two will be in the afternoon on Sunday, November 27. More information on all events and how to purchase tickets can be found on The Breast Ride Ever’s website.